“We’ve got the ocean, got the babes/ Got the sun, we’ve got the waves/ This is the only place for me,” Best Coast blasted over Spring as a flash dance mob line danced across the steps of City Hall… Back on the bike toward the Historic Bank District, and it’s bikes as far as the eye can see. 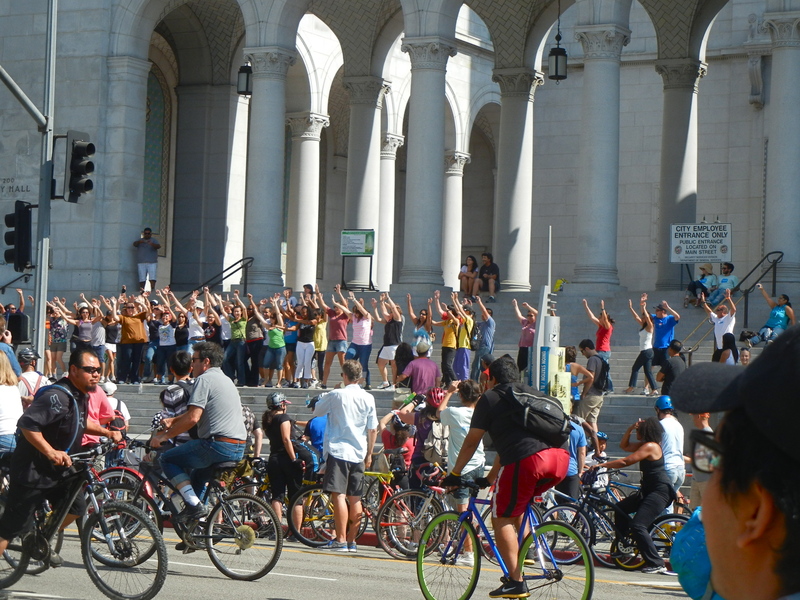 But, the impetus behind CicLAvia was not to urge adults to rediscover their innocence. It was to urge car drivers to get out of their cars. In the 1970’s, Bogota, Colombia, was a traffic nightmare. In response, some members of the government and some from the community got together to try closing down the streets to cars. By 1982, it became a weekly event in Bogota and has since spread to over 100 cities all over the world. 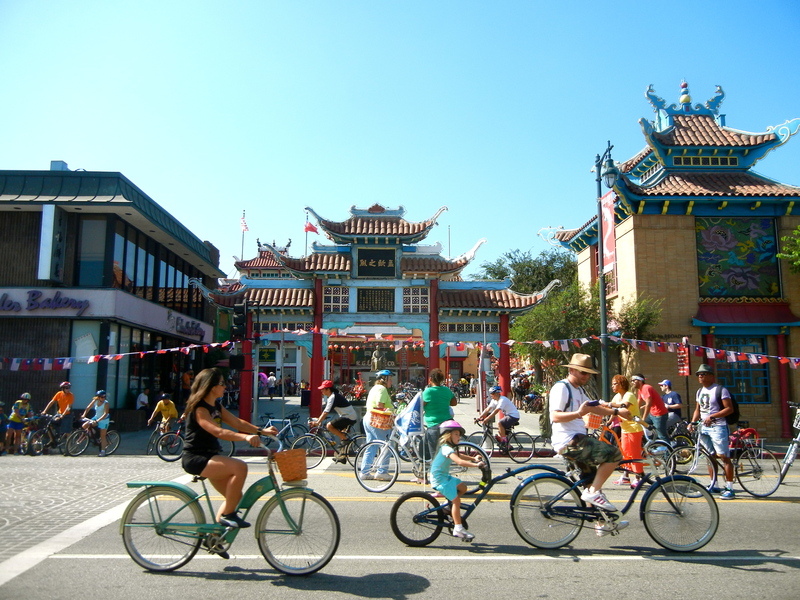 Current advocates for the project purport increased cycling to alleviate traffic and fight the obesity epidemic. Quite the feat for two wheels and some aluminum! Last Sunday’s event was the fifth installment in Los Angeles, drawing over 100,000 people. 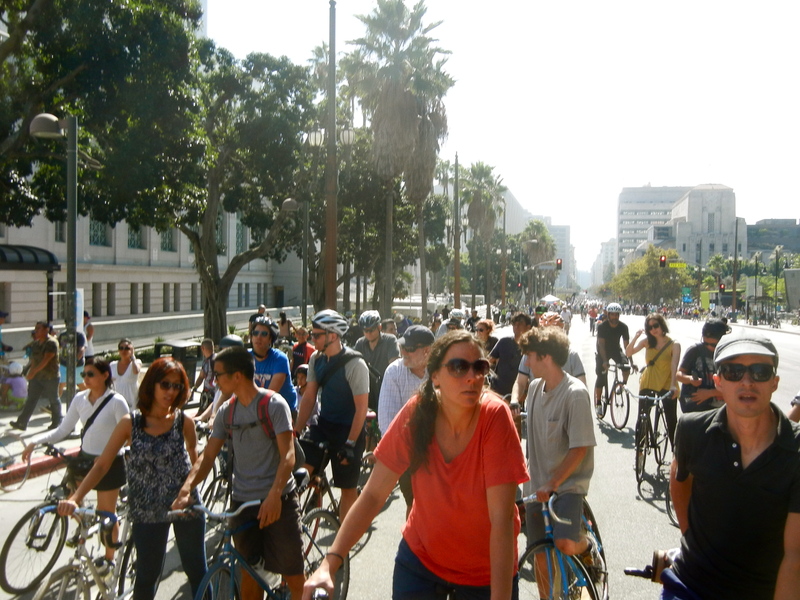 Rumors have it that CicLAvia might become a monthly event. So, it’s not too late to get a bike and join the party. 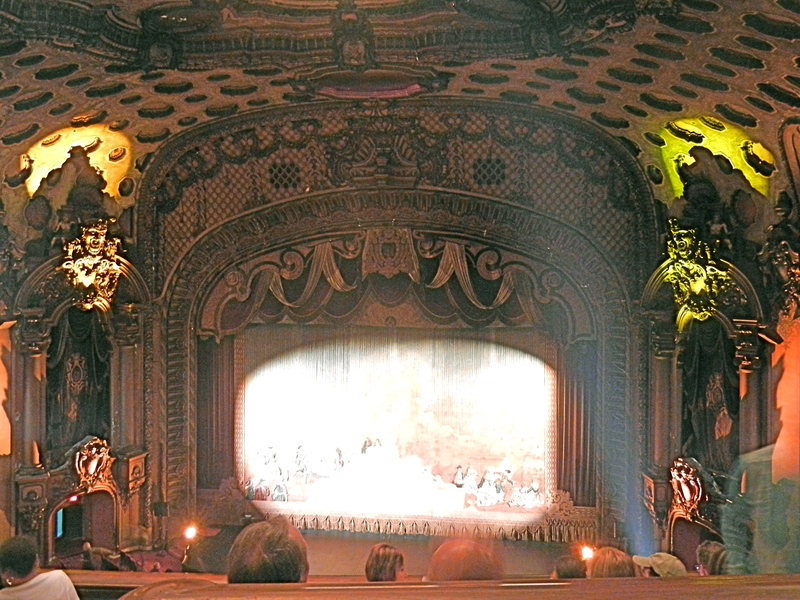 Chaplin’s tale certainly depicts the ego on H.L Gumbiner, the Los Angeles Theatre’s developer. 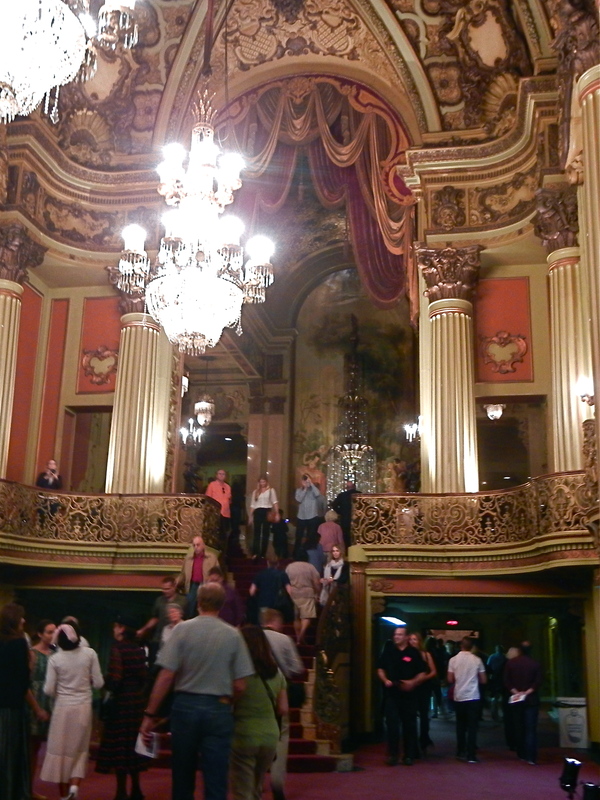 This is not to say that the architect, S. Charles Lee, didn’t design an enchanting French renaissance palace, but instead to note that perhaps it takes a fool, blind with vainglory, to spend over $1.5 million on a 2,000 seat movie theatre in the heart of the depression. 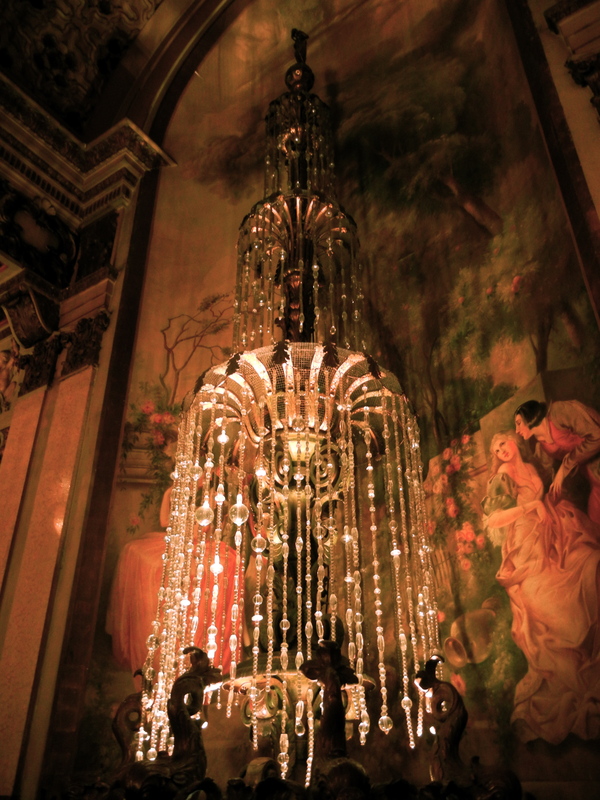 Gumbiner went into bankruptcy within 3 months of the theatre’s opening and the theatre closed by December 1931. 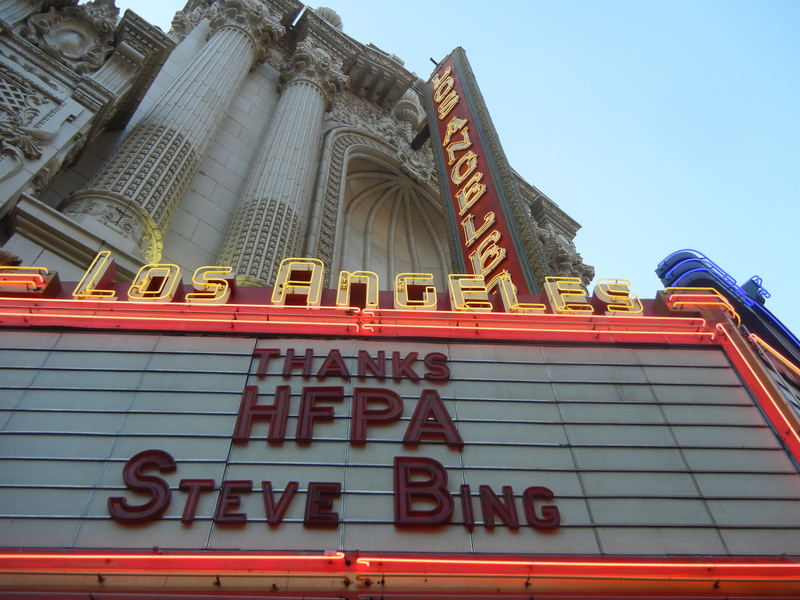 Ownership has passed through several hands over the decades including Fox, Metropolitan Theatres, and the Delson Investment Group. 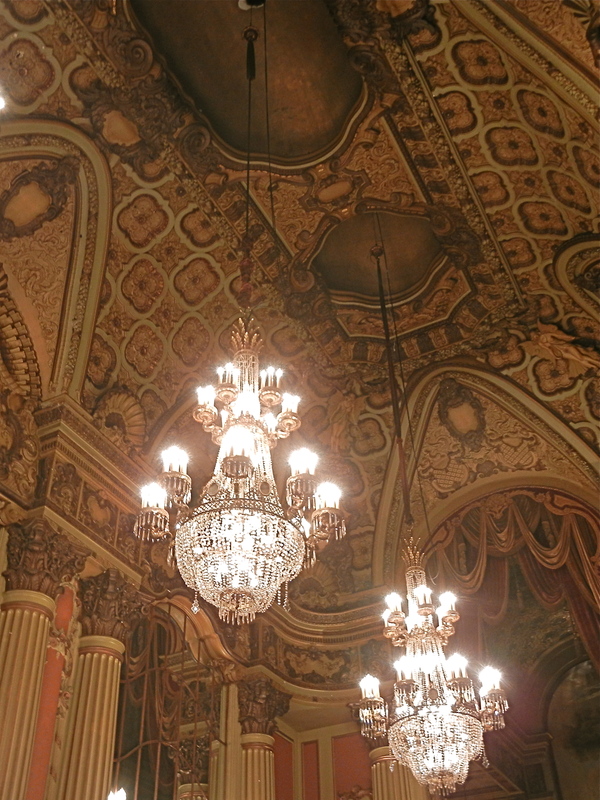 Now, one must catch a Last Remaining Seats screening, sponsored by the Los Angeles Conservancy, to get inside this gem for its original purpose: movies. I’m pretty sure people who complain about 75° January afternoons are out of their minds. 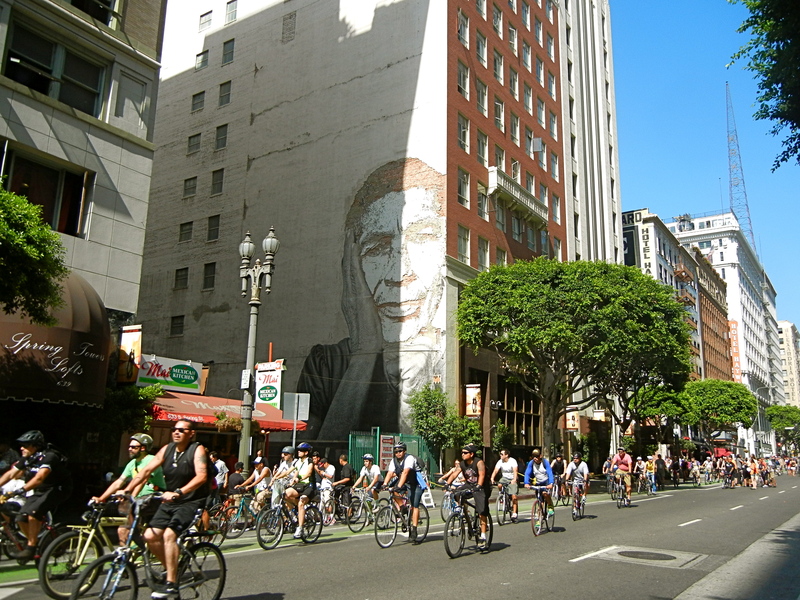 More reasonable complaints about Los Angeles often include traffic, lack of parking, and sheer city size. But, there are some who have never expected Los Angeles to apologize for being itself. 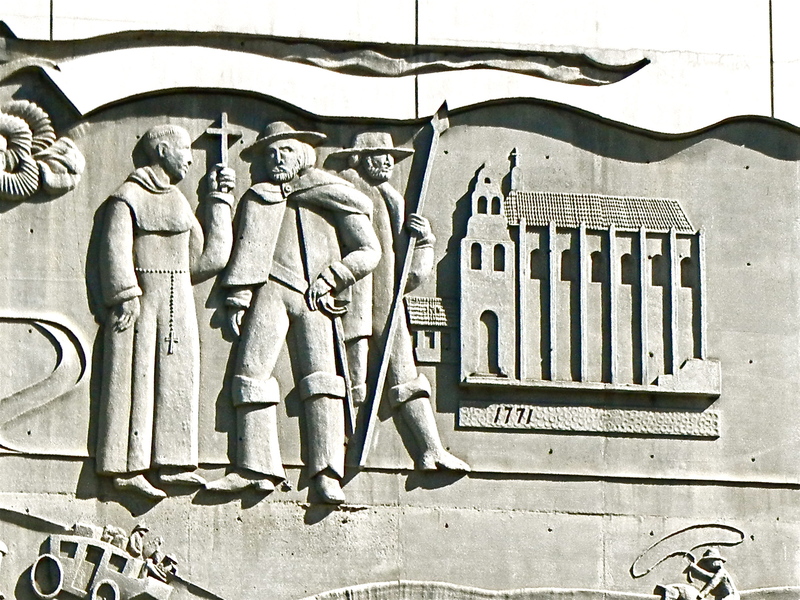 There are some who have looked at this city and seen the weave of stories from which we’ve built our lives. John A. 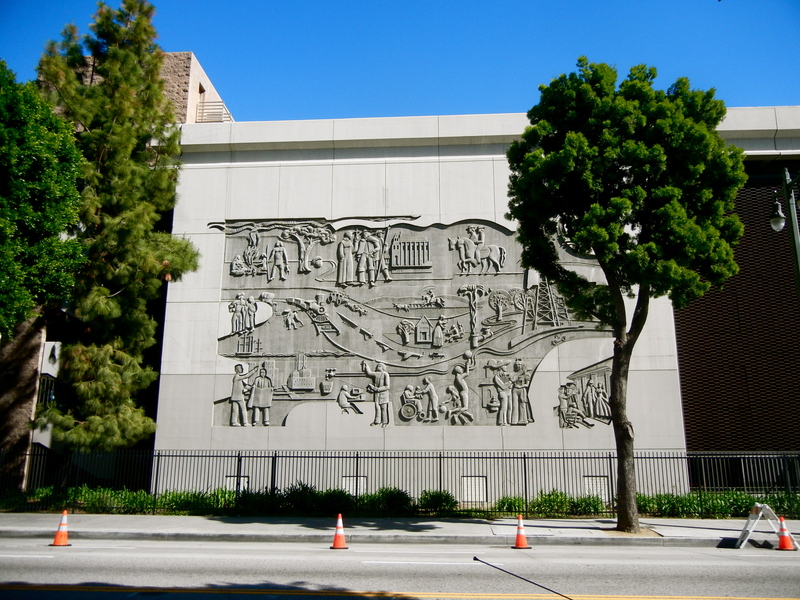 (Tony) Sheets recounts these stories in this relief mural entitled, “L. 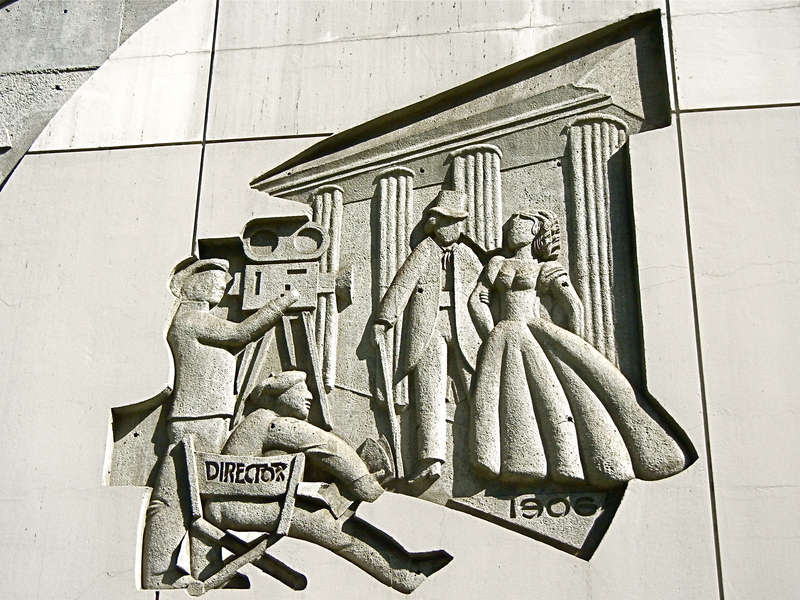 A. Grows,” on the Broadway-side of the Los Angeles Times parking structure. 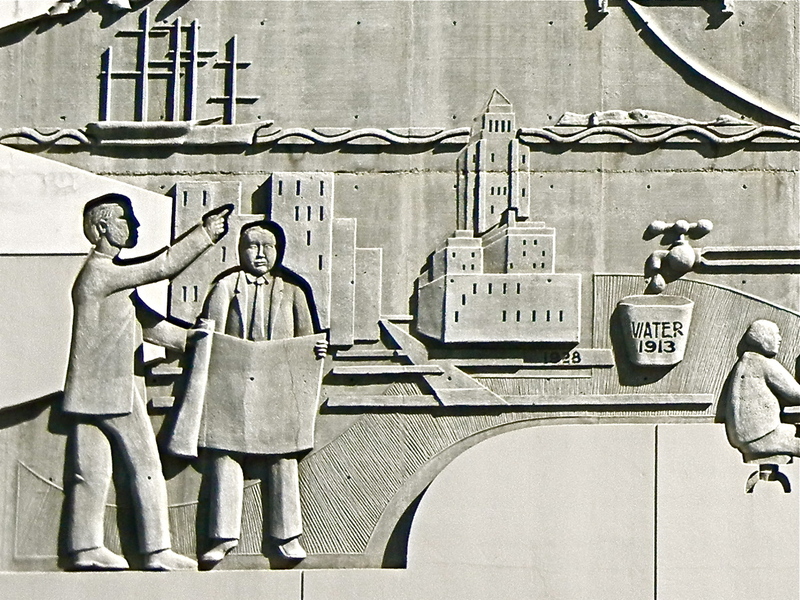 From the Tongva to the Trans-Continental Railroad, and from the citrus industry to city hall, Sheets tells a grand tale of one city over 150 years. 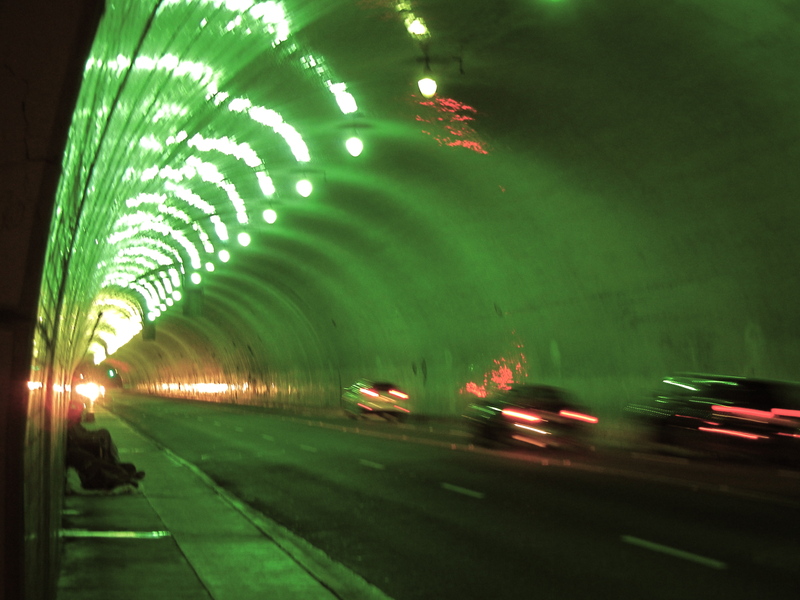 All of this is to say, sometimes, loving Los Angeles can be a lonely affair. But, this wall is the best pep talk an LA lover needs to keep on keeping on. 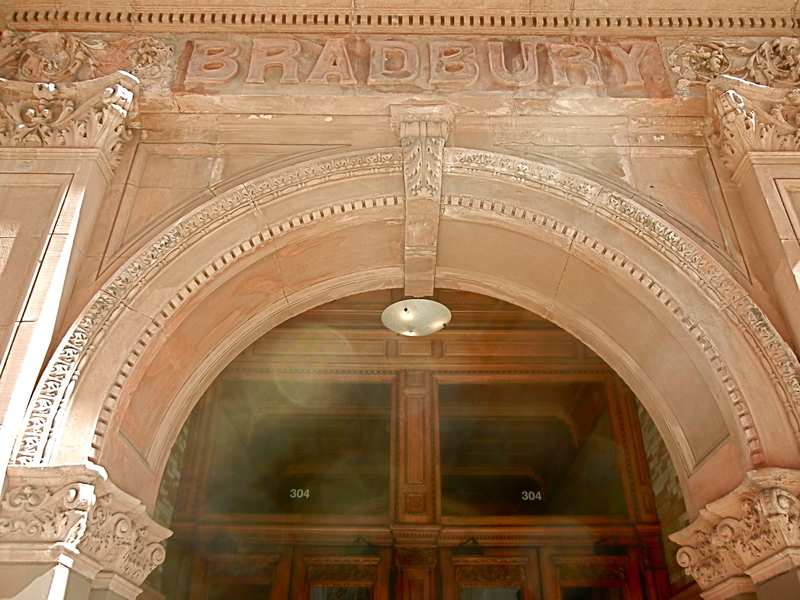 Over the West-facing entrance of the Central Library, the following words are inscribed: Et Quasi Cursores, Vitai Lampada Tradunt. In translation, “Like runners, they hand on the torch of life.” This quote is appropriate for a library as books are a medium through which we transfer knowledge. 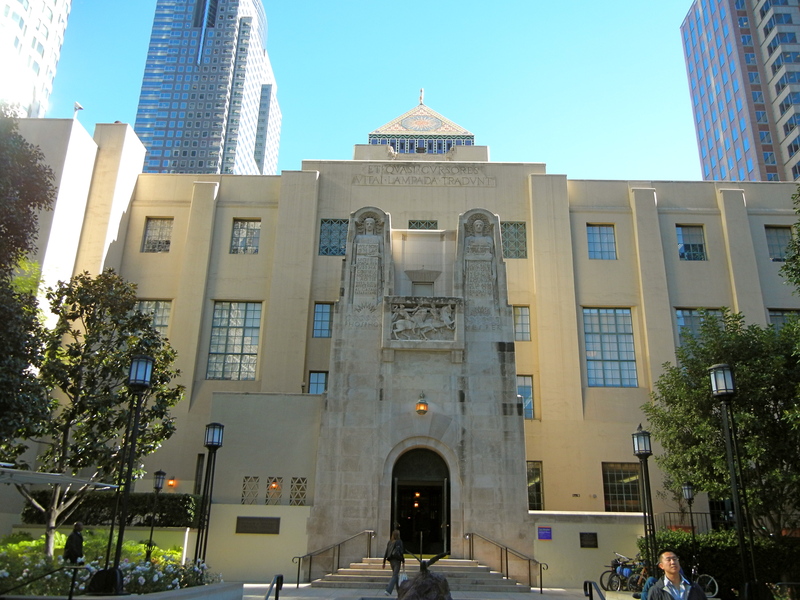 But though our Central Library is the third largest collection of books and periodical holdings in the United States, this 1926 landmark acts as so much more than a bookshelf. 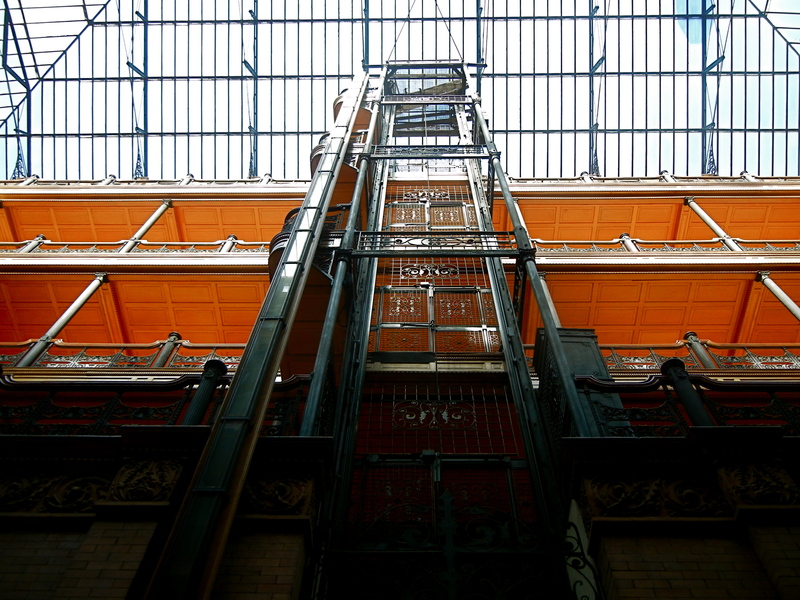 Bertram Grosvenor Goodhue’s architectural design alone makes this building standout. 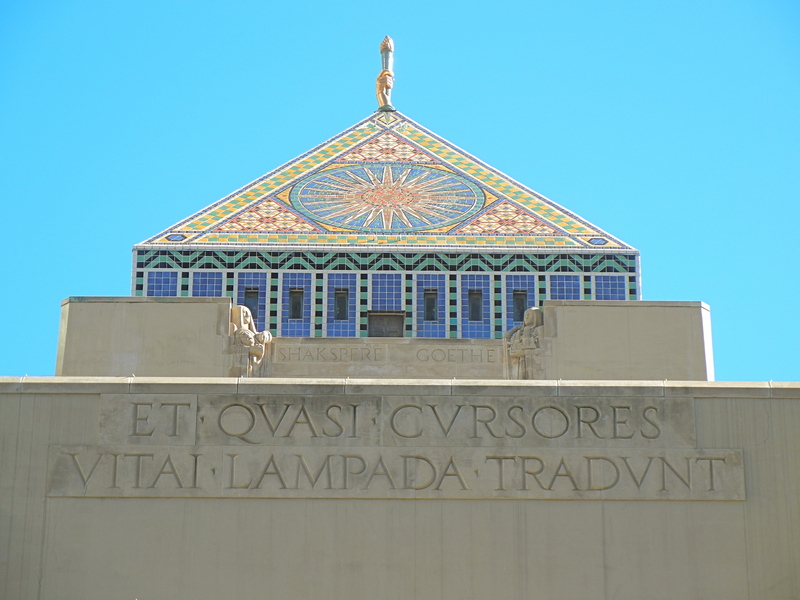 The Mediterranean influences are standard for Southern California, but the Egyptian Revival influences are particular to the 1920’s in the wake of the 1922 discovery of King Tut’s tomb. These notes, however, are only about structural impressions. 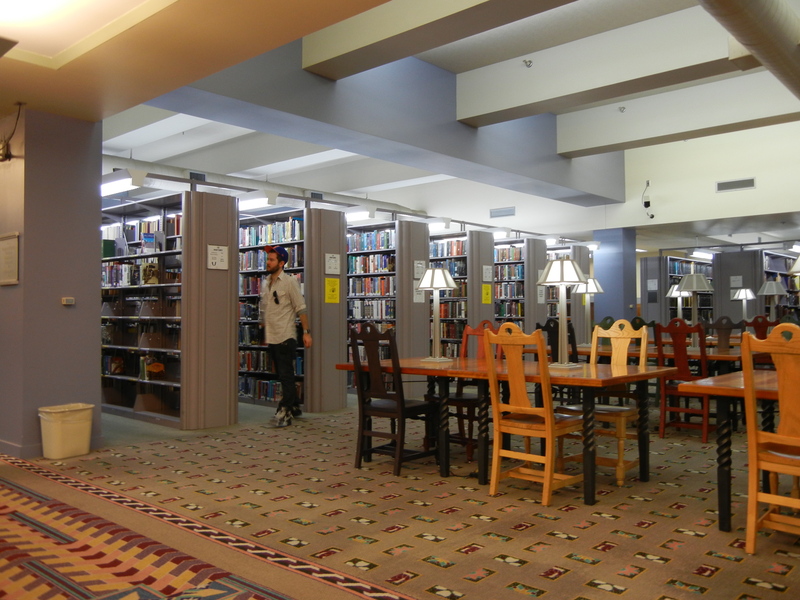 What I find most exciting about this library is how people use it. It’s a museum, a first date, a field trip, a private sanctuary, and a community center. 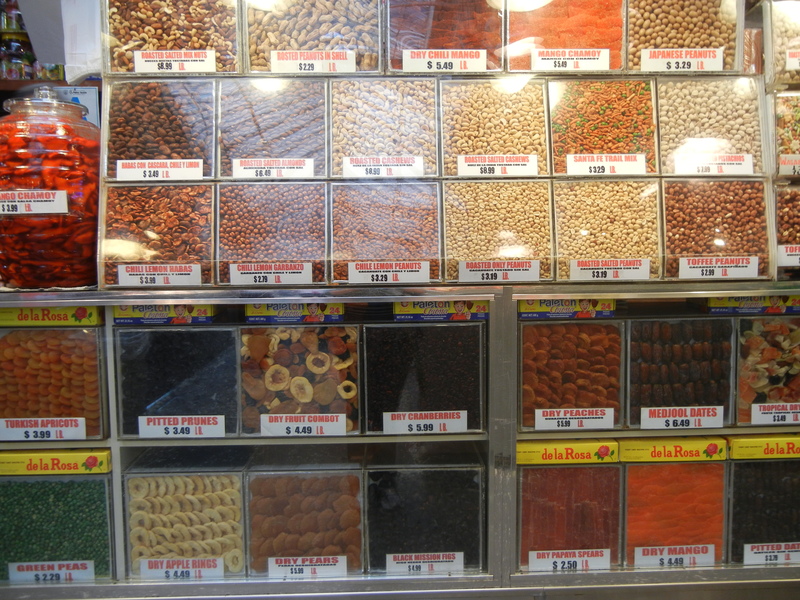 There’s something about a market that sounds very British like we’re off to Portobello Road. 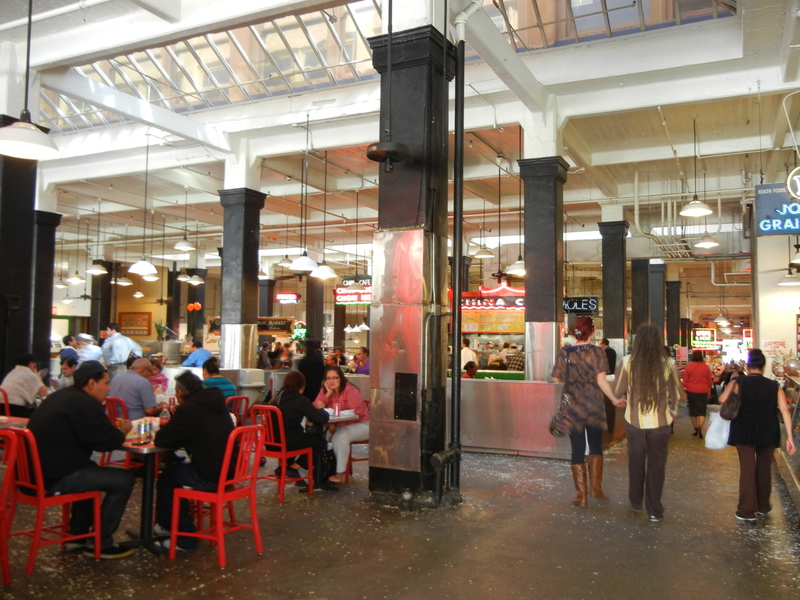 On the contrary, the only thing British about Grand Central Market is that there’s food from nations Britain once colonized. Sawdust on the floor and neon signs overhead, this fanfare is home to 38 vendors selling everything from mahi mahi to massages. 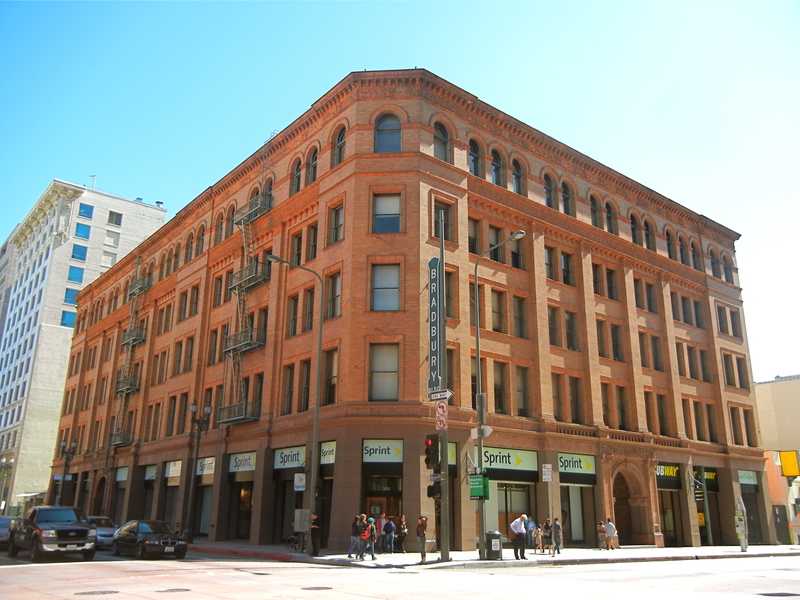 But like Los Angeles itself, this 1917 establishment is predominantly Central American in goods. 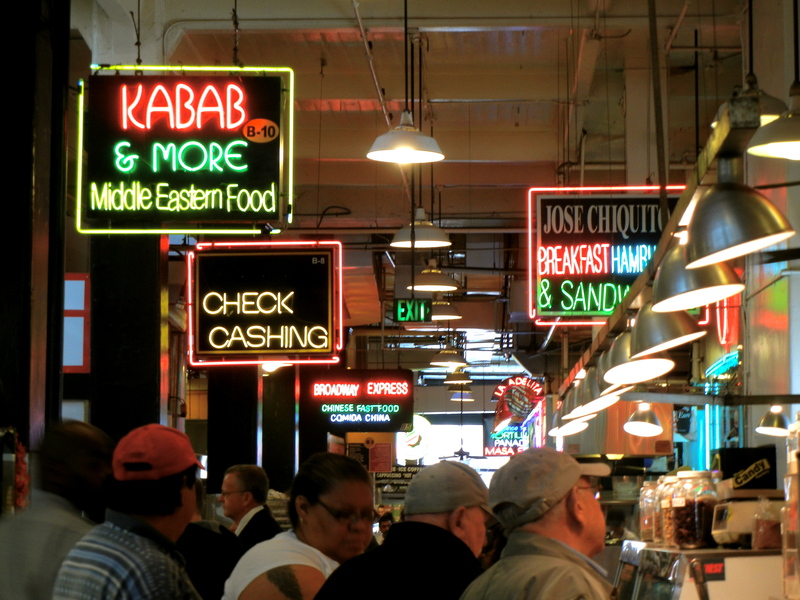 Because of the market’s hustle and bustle, it’s less of a destination as it is an accessory to a slew of activities. 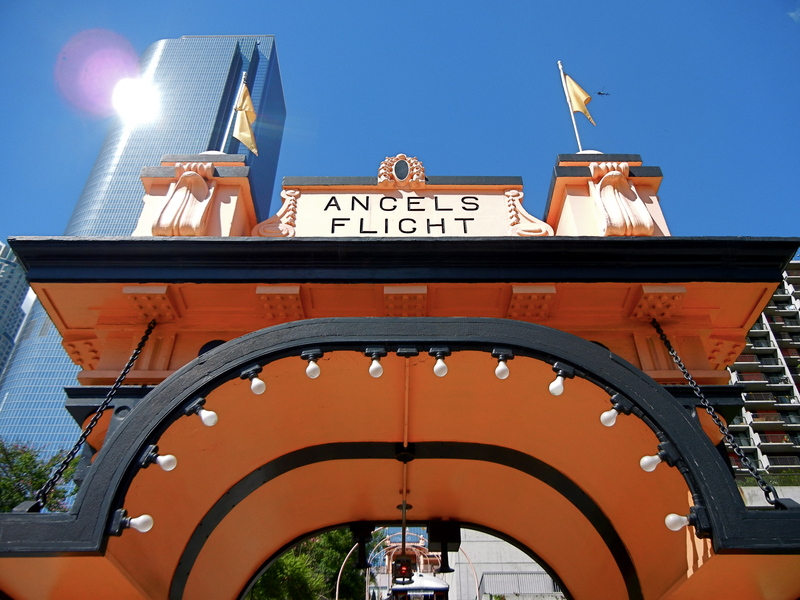 With some pig snout tacos and a full cup of horchata from the market, you take a ride up Angel’s Flight for a picnic at Angel’s Knoll to overlook the art deco skyline of the Old Bank District. Could you ask for anything more, or anything more Los Angeles? The world’s shortest railway closed in 2001 due to a “serious accident.” But, this wasn’t its first closure. 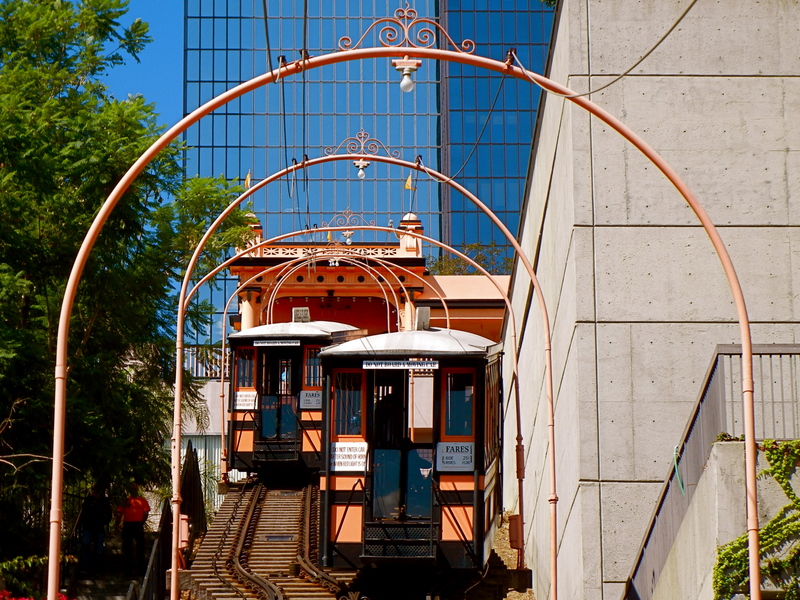 This funicular, once located beside the 3rd Street tunnel, transported residents of the thriving Bunker Hill neighborhood. 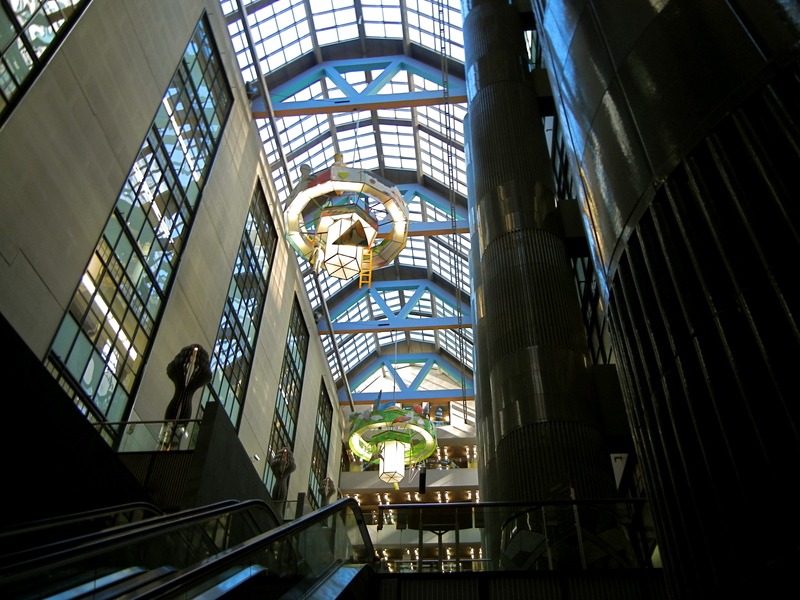 According to the Los Angeles WPA guide, it transported up to 12,000 passengers a day at its heyday in the 1920’s. But, by 1969, it became a literal train to nowhere. So, it closed and its parts were sent to storage. If you’ve been downtown in the 21st-century, you absolutely did not find a residential neighborhood at its heart. So where did it go? 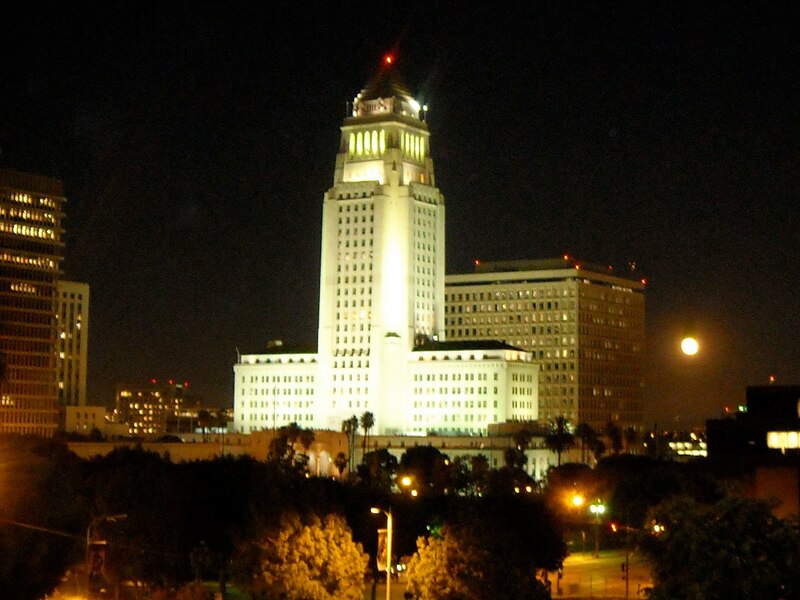 Los Angeles created the Community Redevelopment Agency, and in 1959, adopted the Bunker Hill Urban Renewal Project. This project shaved that little hill like it was going to boot camp. And it’s been in training ever since, as the project is predicted to end on January 1st, 2012. 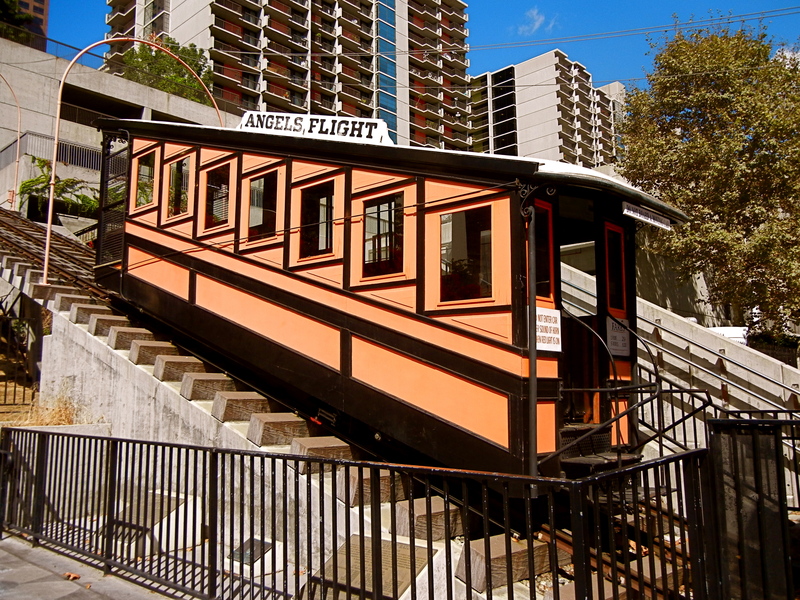 Angel’s Flight reopened between Grand and Hill in 1996, and then reopened, again, in 2010. 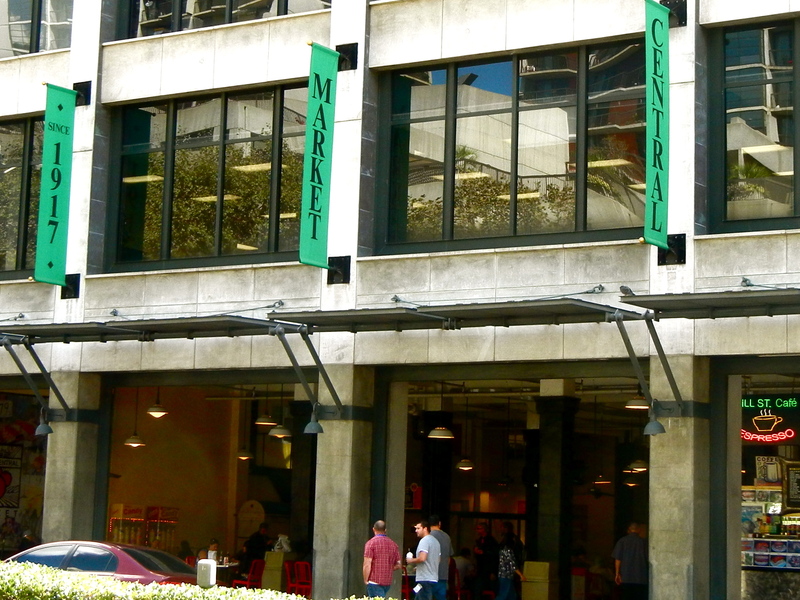 These days, it transports hungry workers from California Plaza to Grand Central Market for a mere quarter. Check here for some excellent historic photographs provided by the LA Times. This 1928 building is only 454 ft. tall (32 floors) and, until the 1960’s, it was illegal to construct a building any taller. 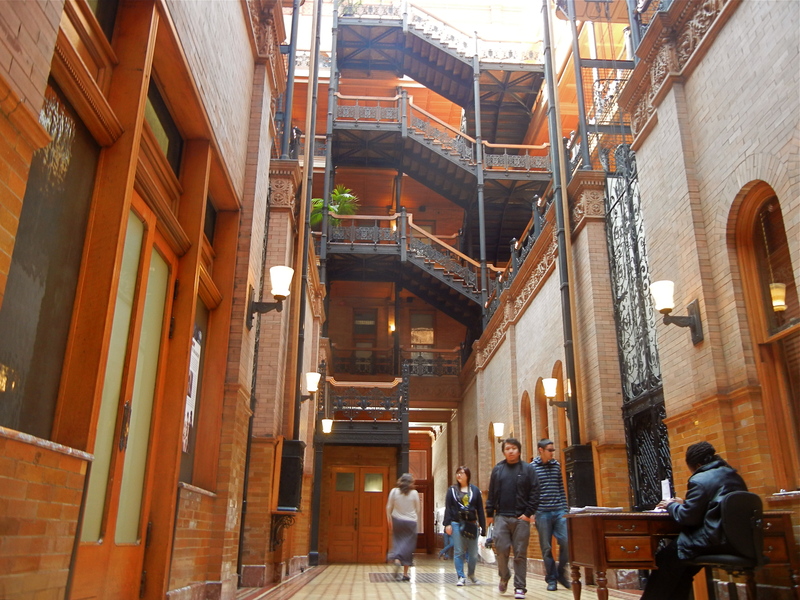 This is part of the reason Los Angeles has a lot of stumpy office buildings. 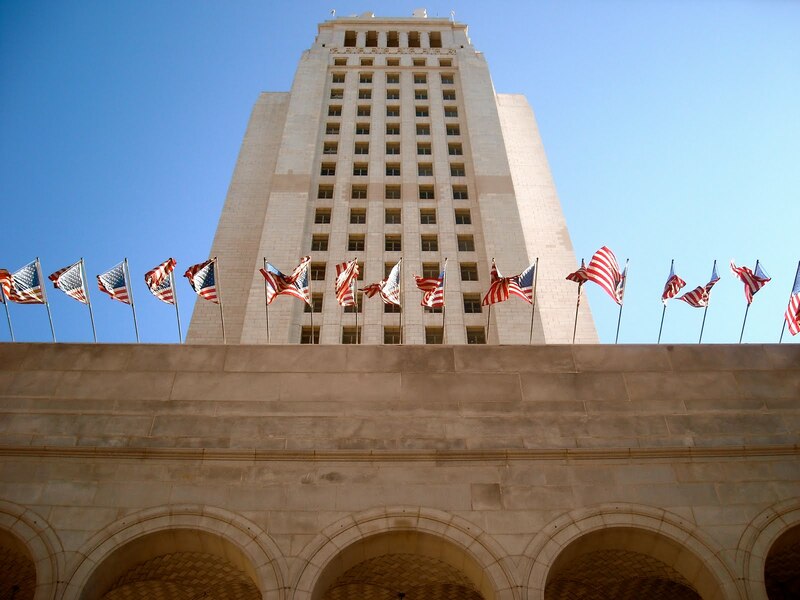 They claim it was for “seismic concerns,” but it doesn’t take a brain surgeon to see the symbolism behind all buildings bowing towards city hall.